As many of you know, Kansas City was built right on the state line, and its cities, townships and boroughs extend equally into both Kansas and Missouri. 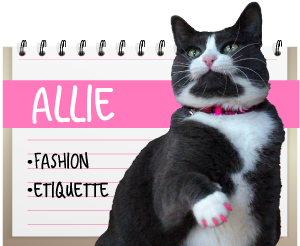 You've known for years about Allie's Alma Mater, Wayside Waifs. Wayside is the shelter on KC's Missouri side, and is known as Missouri's largest no-kill rescue resource. 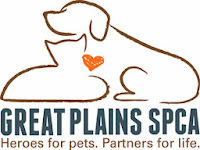 Now I'd like to introduce to you the largest no-kill shelter on the Kansas side: Great Plains SPCA. Founded in 2011 from the merger of two smaller no-kill shelters, Great Plains SPCA serves more than 30,000 needy pets annually, and together with Wayside Waifs, has advanced Kansas City significantly toward an official No-Kill status for the city. 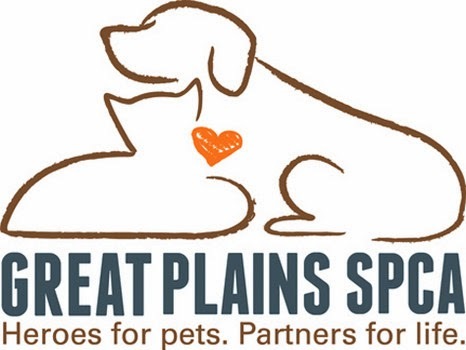 Recently Great Plains took over the management of a city shelter on the Missouri side as well, so now they have paws firmly planted on both sides of the state line! We have many friends and former Wayside staffers who run Great Plains, and are so very proud of what both great shelters are doing. 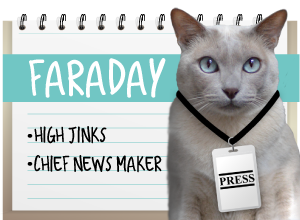 Today, we begin our weekly series, "Sunday Shelter Sweethearts" featuring an adorably adoptable cat from Great Plains. But what I'd love more is to find my forever family. Just give me a little extra time and patience to get used to everything when we go home. My ideal home would be a little on the quieter side as an only cat, but cat-respecting human kids would be no big deal! I would be such a wonderful kitty and best friend for you. Even better if you've got a sunny spot by a window for me! Please come visit me today. I'm at the Merriam Campus, and I want to go home! What a cutie!! And we love to hear about shelters like this. Mary Lou is such a cute little girl and we know it will not be long before she wraps her paw around someones heart...Love you sweetie!! May Mary Lou's people show up sooner rather than later..
What a sweety I hope she gets a forever home soon. That's the kind of shelter that's good to hear of. What a sweetie! She looks like Miss Oui Oui, and we wish her the best of luck in finding her family soon! She's adorable! We hope that her forever home finds her soon. Aw, she's a sweetie! And I bet she'll be a ton of fun for her new peeps. I hope they find her soon! 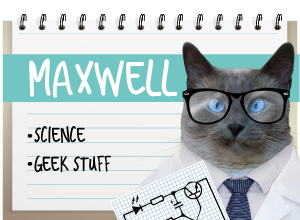 What a pawsome new series!!! We just love Mary Lou...and hope she finds a forever home very, very soon!!! We too hope Mary Lou finds a forever home really soon. Have a marvellous Monday. What a little darling! We're purring Mary Lou's furrever family brings her home soon! We Great Plains volunteers love Mary Lou soooo much!!! She is an awesome kitty who has come so far and waited so long. She deserves the very best fur-ever home. And we love "A Tonk's Tail," too!!! Thank you so much for featuring some of our babies on your wonderful blog! We love that you will be doing Sunday Shelter Sweethearts to show the wonderful kitties from this organization. 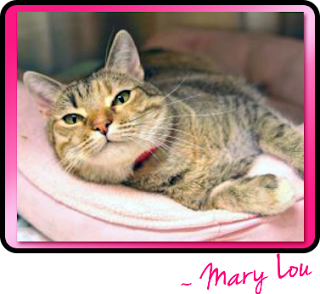 Sending big purrs Mary Lou's way for a safe, loving forever home! She is a sweetie!